Have We Found Our Future Homestead? Oh Debbie – your comment about “I might actually like me” makes me so sad. But I understand what you mean and the context in which it was said. I have so much I want to say about this but I will just leave it as – whether you cook for yourself or eat take-out every day doesn’t make you who you are. I understand what you are saying but I just want you to stop being so hard on yourself. I love you whether you are growing your own tomatoes or foraging for them in the wilds of Meijer. Honestly Bonnie, I’ve felt a little sad about the direction my life had taken. I had become someone I really didn’t know and really didn’t like much. I had traded in so many things I enjoyed for a lifestyle that wasn’t allowing me to feel like me. I’ve always been here, just lost and buried under a pile of stuff that wasn’t important in my life. I lost the essence of who I am and I’m finding that person again. I’m emerging and I think I may just actually like me. After all, life is a journey full of ups and downs and experiences that allow us to grow and become the best version of ourselves. But like many journey’s, we lose our way and I’m finding my way again. Thank you for commenting and saying such sweet things. I love you too my friend and miss seeing you. And the girls were satisfied with their work. They just finished a little graham cracker snack and now we’re getting back to school business. By the way the graham crackers are adorable and look delicious. Were the girls satisfied with their work? 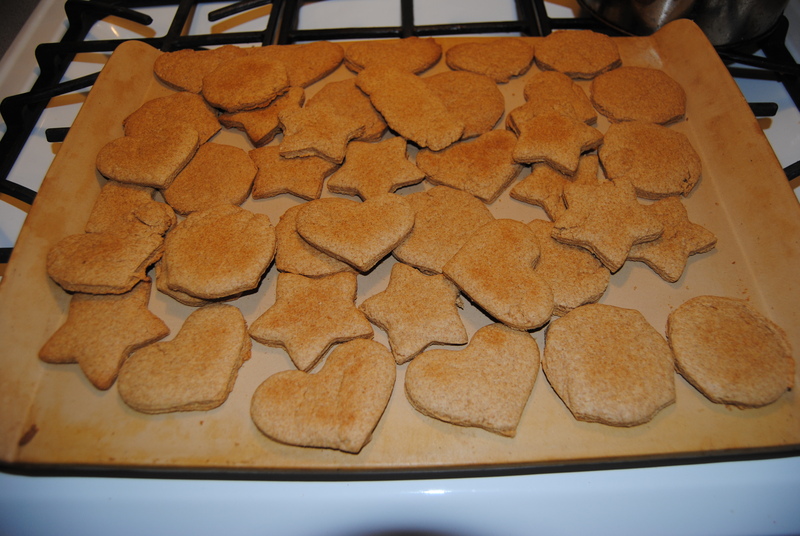 I haven’t attempted graham crackers yet but I am sure it is coming. The funny thing is I am becoming somewhat “self-sufficient” (especially with cooking) but I was “forced into it” to meet the needs of one of my children. And there are times I would rather just go out and eat (I do miss that, especially seafood). But I am so proud when I pull out my own homemade French bread or whip up my own peanut butter! nice to catch up with peoples blogs. in case you haven’t heard, we’re coming stateside – NC, also trying to find some land to put some goats and chicken on it + going back to homeschooling, too. + we changed our eating habits about 3 months ago and ‘went back to the roots” – all organic, all from scratch….we feel so much better. how are the littlest ones + how is life w/o FB? miss chatting with you – let’s stay in touch. As in moving to NC? I think I have an email address for you and will be emailing you.